Oshlyanska O. A., Hyndych Yu. Yu., Belinhio T. O., Studenikina O. M., Gryshchenko K. V., Tsvyet L. A. Purpose — to determine the characteristics of the clinical manifestations of heart disease and blood vessels in children with heptrmobility syndrome living in areas of radiation monitoring. Patients and methods. 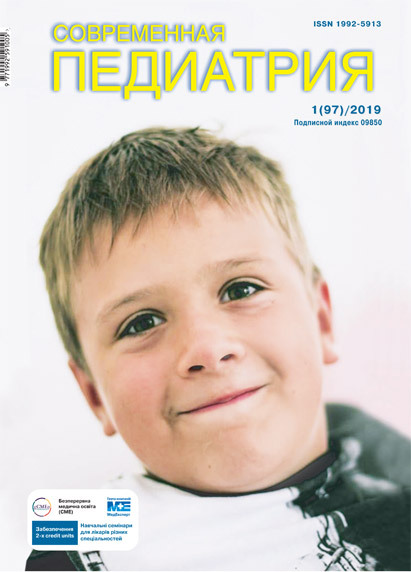 A retrospective analysis of data of clinical examinations carried out on the basis of advice of child health clinics SI «Institute of Pediatrics, Obstetrics and Gynecology of NAMS of Ukraine» further conducted a retrospective analysis of 101 of the histories Clinics Hospital of SI «National Research Centre for Radiation Medicine of NAMS of Ukraine», analyzed the patients' complaints, the description of the objective status and instrumental data study: ECG, ultrasound of the heart, rheoencephalography. These children survey of radiation control zones were compared with historical data from other surveys of children living regions. Results. The analyzed data indicate that children from radiation control zone with heptrmobility syndrome manifestations were more frequent than in non-clean areas. Among the surveyed children with cardiovascular pathology heptrmobility syndrome recorded more frequently than children without signs heptrmobility syndrome. Complaints showing functional disorders with the disfunction of cardiovascular system, hearts microanomalies development by ultrasound of the heart, functional disorders of the vascular function according rheoencephalography children from radiation-controlled areas and manifestations heptrmobility syndrome detected more frequently than in patients from ecologically clean areas. Conclusions. The survey revealed a high frequency of registration signs of connective tissue dysplasia, which is more common in children with a history of radiation burdened. A greater frequency of functional disorders of the blood vessels and heart microanomalies children with heptrmobility syndrome and radiation burdened history. Vascular disorders in heptrmobility syndrome require further more in-depth examination. Key words: vascular disorders in children, undifferentiated connective tissue dysplasia, the accident at Chernobyl, children, increased radiation control zone. 2. Nechaeva GI, Druk IV, Ovsyannikov NV, Zwerew SA. 2003. Adaptable possibilities of cerebral circulation in patients with bronchial asthma in the background of connective tissue dysplasia. XIII Nat. Congress on Respiratory Diseases. Tez rep SPb: 65. 3. Vereshagina GN. 2000. Medical and social aspects of connective tissue dysplasia.Consilium. 1: 74-77. 4. Vereshagina GN,Viskovatyh MA,Pavlova DYu. 2000. Undifferentiated connective tissue dysplasia, metabolic syndrome and hypertension in young adults. Consilium.1: 6-10. 5. Vereshagina GN. 2008. Systemic connective tissue dysplasia. Clinical syndromes, diagnosis, treatment approaches. GuidelinesNewsybirian university: 70. 6. Rudnew MI,Wareckij WW, Beregowskaya NN et al. 1994. The effect of low doses of ionizing radiation and other environmental factors on the body. Kiev. Naukova Dumka: 216. 7. Woloshin PV, Malahov VA, Zavgorodnyaja AN. 2006. Endothelial dysfunction in cerebrovascular disease. Harkiv: 92. 8. Worobjov EI, Stepanov RP. 1985. Ionizing radiation and blood vessels. Moskow. Energoatomizdat: 295. 9. Woronina LP. 2011. The genetic, biochemical, and functional status vasoregulating markers of endothelial function. Siberian medical journal. 3: 29–31. 10. Zolotarewa NA. 1998. Status valvular patients with hypermobility syndrome and their relatives. Ukrainian medical journal. 2: 56-57. 11. Kadurina TI. 2000. Hereditary kollagendysfunction (clinic, diagnostics, treatment and medical examination). S Petersburg. Newskij dialect: 271. 12. Kadurina TI. 2000. The defeat of the cardiovascular system in children with different variants of hereditary connective tissue diseases. Westnik aritmologii. 18: 87-92. 13. Klemenov AV. 2005. The clinical significance of undifferentiated connective tissue dysplasia. Abstract of the thesis of the doctor of medical sciences. Мoskow: 27. 14. Кlemenov AV. 2002. The primary mitral valve prolapse. The modern view on the problem. Nizhny Novgorod, Publishing House of the Nizhny Novgorod State Medical University: 45. 15. 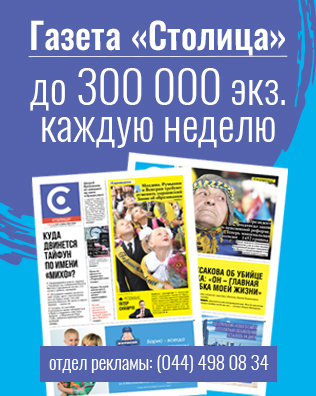 Korkushko OV, Lishnewskaja WYu. 2003. Endothelial dysfunction. Clinical aspects of the problem. Krowoobig ta gemostaz. 2: 4–15. 16. Korneeva IT, Polyakov SD, Smirnov IE. 2001. Hemodynamic and autonomic status in young athletes with dysplasia of heart connective tissue. Fiz kultura. 4: 23-26. 17. Lobanok LM, Luksha NP. 2002. Effect of hypoxia and anoxia on endothelium-dependent response of rat aorta dilatatornye exposed to low-energy γ-radiation. Radicionnaya biologiya. Radioekologiya. 42(2): 498–502. 18. Marushko YuW, Marushko TW, Gordienko IN. 2007. The clinical significance of connective tissue dysplasia syndrome for medical and sports practice. Sportiwnaya medicina. 2: 24-31. 19. Tkachenko MM, Yarockij WW, Sagach VF et al. 2003. The Electrical reactions aortic endothelial cells in rats after total γ-radiation dose of 1 Gr. Journal AMN Ukhainy. 9(3): 549–555. 20. Oshlyanska OA. 2012. Background and immunopathological mechanisms of rheumatic disease in children with connective tissue dysplasia. Abstract MD Kyiv: 31. 21. Perekalska MA ,Wereshagina GN, Makarova LI. 2000. Dysplastic heart syndrome in women with systemic undifferentiated connective tissue dysplasia. Consilium 1: 68-72. 22. Shilyaev RR, Shalnowa SN. 2003. Dysplasia of connective tissue and its relationship with the pathology of the internal organs in children and adults. Woprosy sowremennoj pediatrii. 2(5): 61–67. 23. Yagoda AV, Gkadkih NN. 2004. Evaluation of External phenotypic traits to identify small heart anomalies. Clin Med. 7: 30-33. 24. Сrowford M. 1999. ACC/AHA guidelines for ambulatory electrocardiograhy: a report of the American College of Cardiology. American Heart Assotiation Task Force on Practice Guidelines (Committe to Revise the Guidelines for Ambulatory Electrocardiography). J Am Coll Cardiol. 34: 912-948.